Is the lighting in your home dull or dim? Do you need to update your lighting fixtures? Are they out of date or insufficient? 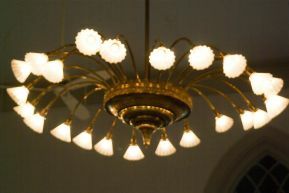 Lighting is one of the most important features of home décor. Poor lighting can make spaces feel small, uninviting, and cramped. It can also make paint and furniture appear dull. If you’ve got bad lighting in your home, it’s time to fix that! Troy Lighting offers a beautiful selection of Troy Lighting sconces and Troy Lighting Chandeliers! Whether you are re-imagining the interior or exterior of your home, lighting should be one of your top considerations. Lighting sets the tone, provides visibility in key areas, and is a great way to accessorize a space. When selecting new lighting for your home, you will be encountered with no shortage of options: chandeliers, lamps, pendants, recessed lighting. Each has its purpose, but perhaps the most versatile of them all is the sconce light. Sconces not only look great, but they also serve very practical purposes. Sconce lights are used to add concentrated light to certain areas to help with visibility, wayfinding, and feature highlighting. Plus, with brands like Troy Lighting sconces providing a variety of styles, ranging from classic to contemporary, sconce lights add a punch of style to any space. What’s your style? Are you an eye-catcher, a fun-lover, someone who loves theme and pieces for your home that speak to the world of what you love? Or are you quiet, elegant, with good taste and clean lines? Most likely, you can’t see why you have to choose one or the other. Why not be all? With Troy Lighting sconces, you can show off all your tastes without sacrificing anything. When you choose Troy Lighting, you aren’t choosing just any light fixtures. Troy Lighting has made a name for itself by creating one-of-a-kind lighting styles and designs that push themselves beyond the limits of mere light fixtures. These fixtures have all the practicality of light fixtures, but they do a lot more. They also introduce show-stopping artistic style into the lighted areas of your home in a way that only Troy Lighting sconces and chandeliers can accomplish. If you are looking to add an artistic flare to your home, don’t limit yourself to art galleries to find your one-of-a-kind pieces; check out our selection of Troy Lighting chandeliers and sconces so you can turn the light fixtures in your home into show-quality art pieces, too. The humble Troy Lighting sconce is a brilliant if under-appreciated lighting fixture, one that can elevate a home’s decor while providing the light necessary to illuminate a room. They’ve often been used as accent pieces to elevate the decor of a space more than to light it, but companies like Troy Lighting are changing how people view the sconce, and how homes are using them. One of the most interesting things about the history of Troy Lighting sconces was how people began using their products. Troy Lighting started out in 1963 by making lighting solutions that combined beauty and practicality. They soon expanded into specialized Reflective Luminaire Manufacturer (RLM) lighting, or lighting that uses reflection to intensify the lighting in a specific direction. And while not all of their lighting uses this technology, their commitment to quality and making something different made a near-instant impression. The humble wall sconce was once thought of a one-trick pony : a beautiful but largely ornamental lighting piece that was more for show than actual lighting. 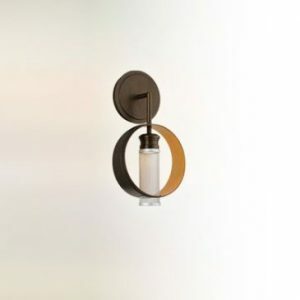 But while the elegance and beauty of the wall sconce has not changed, today’s home decor experts are starting to realize that the wall sconce is a versatile piece of lighting. Here are just a few ways that modern homeowners are using Troy lighting sconces to elevate their decor and achieve a unique, signature look in their homes. Troy Lighting offers a wide selection of unique wall and bath sconces that fuse the contemporary with the classic designs. From rustic fixtures to modern designs, from elegant to understated fixtures, Troy Lighting sconces will help you light up your home in style. 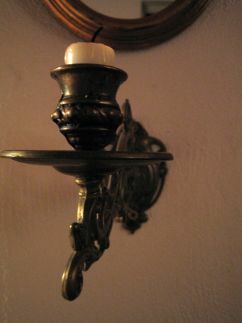 The carefully crafted sconces are built only with the highest levels of craftsmanship and the best quality of materials. These light fixtures are not only eye-catching, but they’re also built to withstand the pressures of time and wear. If you want to invest in top-quality lighting designs, look no further than Troy Lighting sconces. 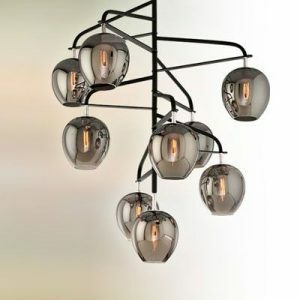 Troy Lighting has a reputation of providing quality products and service to its clients, as well as designing unique and beautiful light fixtures for many kinds of applications. Think about what gives a room the character that it has. What makes it feel cozy and warm, or breezy and open? What makes it feel like a place for working or a place for chilling out? A lot of the feeling of a room comes from the furniture and the decor in the room. A desk makes an office feel like a place for work, while a bed sends a clear signal that this is a sleepy, cozy room. But there’s more to it than that. A lot of a room’s ambiance comes from the way that room is lit. Light can be bright or dim, warm or cool, natural-looking or clearly man-made. Crescent Harbor’s Troy Lighting line of lamps can help you to make a room look exactly how you’d like it to feel. Often, when a product markets itself as belonging to a particular theme, or when it is evocative of a particular image or feeling, the buyer has to use a large amount of imagination and effort to see what the designer was seeing when they designed and named the product. That is certainly not the case with Troy Lighting’s gorgeous line of light fixtures. When they point you to their nautical themed line of pendant lights, you really can feel the boat under your feet. That line and many others will inspire you to make America’s history a part of your home.